Reading is a wonderful way to experience new cultures, experience adventures, and to understand how other people’s minds work. Even though reading is such a valuable way of learning about the world, there are some children who have a hard time with it, whether it’s identifying the letters, sounds, or understanding the point of what they are reading. At our daycare, we are passionate about educating the children in our care and that includes giving them the tools they need to be able to read. 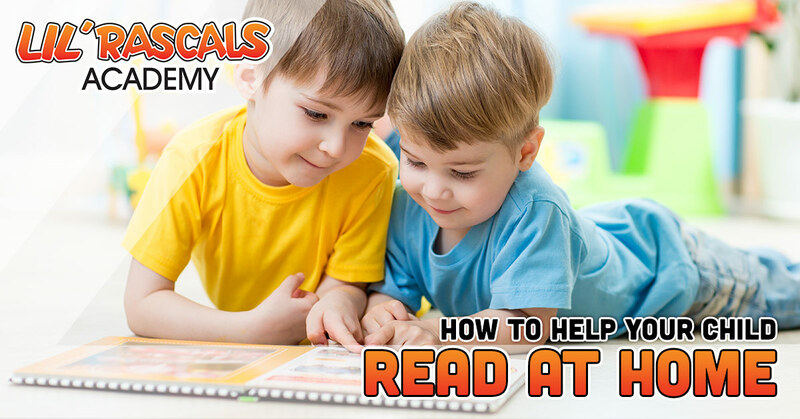 If you want to help your child read, here are some expert tips. This one is obvious, but nonetheless important. 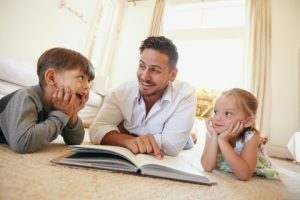 From the very beginning, if an infant is introduced to books and reading, and learns to find enjoyment in the activity, they are more likely to become successful readers later on. Reading to your infant or growing child is not only a great way to teach them the process of reading, turning pages, looking at the text, etc., but it’s also a wonderful way for you to bond with your child. Start reading lullabies, board books with real pictures, and song books when they are younger than one year. From one to three years, read them rhyming books or short story books. From three to five years, include alphabet, song, and picture books. Eventually, give them the chance to start reading to you, too. Interacting with your child about reading and the story or pictures is an opportunity to see if they are comprehending what they’re reading. It will also ensure that they are not simply memorizing the words. If you’re reading a book with a cat in it, ask, “Do you see the cat?” Pointing to the picture will enhance their vocabulary and later on, they can try making the noises. If you want your child to read on their own, it’s important to show them that it’s not just something that they do at daycare. They will understand that reading is fun for older kids and adults alike. If you don’t love to read yourself, keep in mind that it doesn’t have to be a book. You can read a magazine or the newspaper. A way to become more efficient at reading is to understand how words work themselves. Words generally have a beginning (onset) and an end (rime). If your child can recognize the word “top,” it will be easier to see related words such as mop, cop, hop, stop, etc. At our daycare, we love having fun with rhyming. This is essentially “sounding out” a word. When your child is old enough to know the sounds of the letters and vowels, they can make an effort to sound out words on their own. Have them pronounce the first letter, and each letter after until they have read the entire word. Being a good reader is such an essential part of being successful in life, so we are excited to teach your children letters and reading at our daycare. But we can’t do it without you! If you have any questions about teaching your child to read, please give us a call.